Upload, download and back up to and from your computer or mobile devices. With the mobile feature access and share even if you leave your Canvio® Connect at home. As long as it's hooked up to your computer, you can get to your photos, music, movies and even massive files from any PC, smartphone or tablet over the Internet. 8MB cache buffer for increased processing speed. 5400 rpm for fast performance. Password-protected data encryption, (up to 256-bit) prevents unauthorized access. USB 3.0 ports for ultra-fast data transfers. USB 3.0 is up to 10 times faster than USB 2.0, yet fully compatible with USB 2.0. 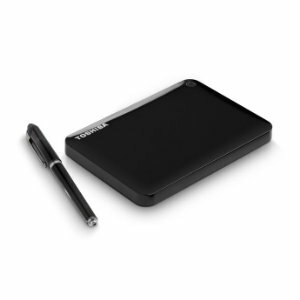 Compatible with Mac and PC so you can store and access files without reformatting. Supersize your storage. The high-speed and highly versatile Canvio® Connect II delivers an incredible amount of storage so you’ve always got room for your ever-growing digital library. 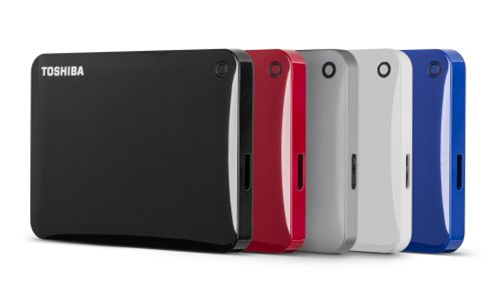 • High-capacity storage in a sleek compact design—offering up to 3TB1 of storage space in a portable design. • Remote access, local and cloud backup and the convenience to share and stream your digital content. • Free 10GB1 of cloud storage lets you store a second copy of your most important files in the cloud. • PC and Mac® compatibility means you can store and access files without reformatting (included NTFS driver for Mac® required). • USB 3.0 connectivity with USB 2.0 compatibility provides fast performance and convenience, too. • Added storage for your music, photos, videos and files. • Available in 5 colors—Black, White, Blue, Red and White Gold. Back up, access and share your digital content—anywhere, anytime. 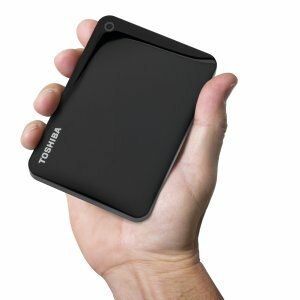 Toshiba’s Canvio Connect II takes portable storage to the next level. 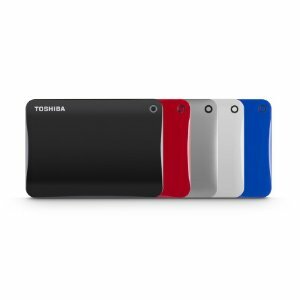 With remote access, local and cloud backup and the ability to share and stream your content, the Toshiba Canvio Connect II is your all-in-one portable storage solution. With up to three terabytes (3TB)of capacity, this amazingly full-featured powerhouse will keep all your digital treasures in one place—so you can upload, download and back up to and from your desktop or laptop, even from your mobile devices. Unlike other solutions, the Canvio Connect II makes it simple to back up not just files and folders, but your whole system—or customize your backups to your exact needs. Secure your backups with password protection. Or store on the cloud for total assurance. Schedule automatic backups to run automatically and the Canvio Connect II will take care of the rest. Equipped with full system backup and recovery software, it’s a complete solution right at your fingertips. With the mobile feature on the Canvio Connect you can access and share even if you leave it at home. As long as it’s hooked up to your computer, you can get to your photos, music, movies and even massive files from any PC, smartphone or tablet over the Internet. It also comes with built-in file-and-folder plus full-system backup software, which lets you protect your digital treasures by backing up to your Canvio, the cloud, or both. As a bonus, you’ll also get 10GB of cloud storage (free) for storing your most important files. Yet, even with everything it does, setting up your Canvio Connect II is still a snap—and using it is even easier. Stay connected to what you need. The high-speed and highly versatile Canvio Connect II delivers an incredible amount of storage—up to three terabytes (3TB) —so you’ve always got room for your ever-growing digital library. 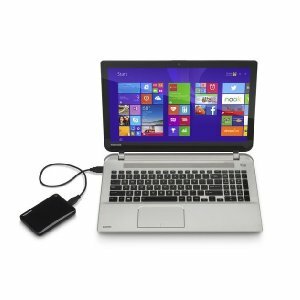 Stay connected to what you need.Toshiba’s Canvio Connect II offers all you need to upload, download and back up to and from your desktop or laptop computer, even your mobile devices. Our storage has highly colorful advantages. Canvio Connect II offers easy plug-and-play operation, a compact design, super-fast USB 3.0 performance and your choice of five cool colors.